To say that I absolutely love playing piano is an understatement. I do believe that among the many, many gifts - both material AND emotional - that my parents gave me was not just the gift of having a nice voice and the love of music, but they also gave me my first piano. Now, the piano here in this intro photo is not of my original piano (my very first piano found its final home at my sister's house, and you can see it if you scroll down a little on this page). This photo is me with my antique square grand piano (it's an Emerson, circa 1853 or thereabouts). And I love piano. So... if YOU are looking for some creative gifts for the piano player in your life, I hope that my own perspective will help you. As a gal who understands that not everyone can buy a Steinway for someone they love, I am keeping in mind a variety of budgets. I'm also fairly creative, so it is my dearest hope that you find something for the pianist in your life! Also, as I write this page, I'm away from home, so I can't take some of the photos I'd like to for this page (but I can add to it later - so please bear with me). PS: If you do NOTHING ELSE on this page... please scroll down and watch the Piano Guys...they are a talented bunch of guys doing things with pianos I had never thought of! Photo: Me. My piano. Taken by me. Holding the camera as far away as I could. I don't know what else I can possibly say about this album or this wonderful and talented group. Just listen... if you don't just melt, I'd be surprised. (As it turns out, my husband did get me this particular Piano Guys CD. I didn’t even really hint… well, not that much.) It is an excellent gift, and even non-musicians enjoy it. This one is a winner. Thank you Oh, My Papa! Anyway, somewhere in the piles of boxes at my Dad's house, there are early 8mm home movies of me plunking away at my first toy piano. It was red. I loved it! I had NO IDEA what I was doing, but I was somehow able to pick out tunes on it by ear. Turns out, that really is about my only talent on piano, other than being able to compose some as well. After sounding out some songs on our neighbor's piano one day while visiting, I vividly recall my parents saying that they needed to find me a piano. The photo at the right is my first "real" piano - an old Weber upright. I will never forget the day it came home. One of my dearest gifts. It introduced me to a life-long hobby that never, ever ceases to bring me joy. Now, I'm not saying that you need to buy a piano for someone... - But if THAT is what you're looking for, I can help. My niece plays piano beautifully. 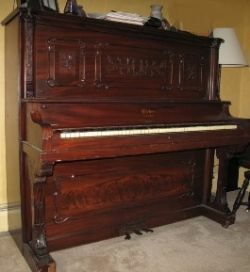 My sister had our family's original upright (pictured above) but wound up getting their daughter an electronic piano after the old Weber starting becoming more and more difficult to maintain. Acoustic Piano vs Electronic Piano - What are your thoughts? Some people swear that they just cannot use an electronic piano; others don't care. How do you feel? 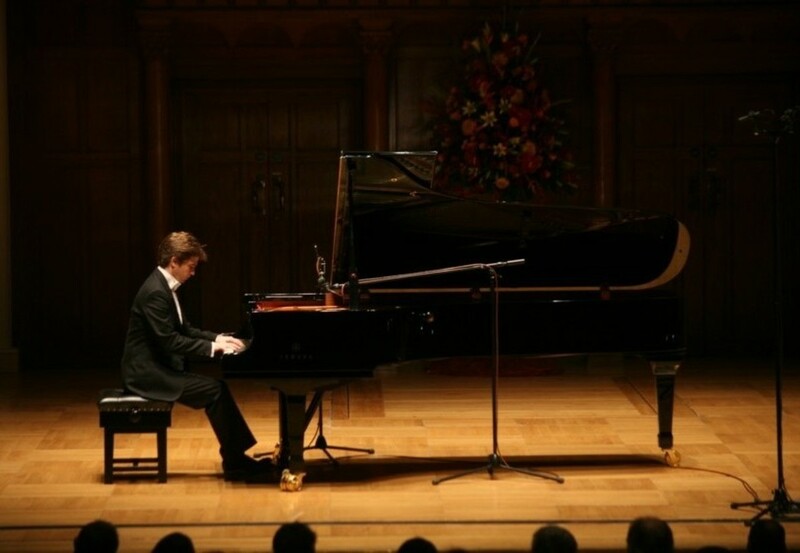 Do you prefer a traditional, acoustic piano? Or do you prefer an electronic/digital one? Remember... Children have tinier hands! I started out on a toy piano. Then, my parents got me a little Emenee Organ (see the eBay pics below! Yeah... now it's "vintage."). I cannot count the number of times I played "The Little Drummer Boy" on that thing. :) Again, I'm not sure HOW I learned it - but playing by ear just came naturally to me. So, in the next part of this page, I'm going to share with you some vintage AND newer items that might be appropriate for your own little one! My personal blast from the past - This little organ is EXACTLY like my old one! Vintage organs or pianos on eBay - A gift doesn't have to be NEW to be appreciated. Back to the Future now... Here are some lovely toy pianos for kids... - Some for a variety of age groups! Having watched at least half a dozen kids come through our house over the last few years, banging away on a little toy piano we got (in order to keep them from banging on the antique Emerson), I realized quickly that they make some of these toy pianos the way they do for a reason. :) Let's get them started on a few less expensive models before they get to the Steinway... I have a photo somewhere of some of the kids at our house, and when I find it I'll add it. To me this cute piano fits the bill for an introduction to music, as well as having numbers and bright color-coded numbers above the keys. Note: The "red" keys are non-functional, and are for looks only.But, most babies aren’t going to be so discerning. They just want to make some noise and have fun! As someone who loved playing piano, piano-inspired gifts where welcome! After the actual piano came, I was given other gifts - and to this day I recommend them. For example, my mom gave me sterling silver charms for a really cute charm bracelet she got me. At some point, I handed this down to my niece, and I was hoping that my sister would send me a photo of my favorite charm (of a grand piano); unfortunately, she was unable to find it. So, yes, I'm a little bummed out and disappointed about that. But, there's not much I can do about it. At any rate, for people who love piano, any variety of jewelry might be a welcome gift. I'll show you the best one I can find that reminds me of my own collection. This lovely charm is as close as I could find to the one my mom gave me. (As I write this, I sniffle a little... When I originally wrote this whole article, it was 2/26/13, and she would have been 81. I love and miss you Mom!). Because hindsight is always 20-20, had I known that my old charm bracelet wasn't going to make it long-term as a gift, I probably would have kept it. I will console myself by recommending this one to folks. 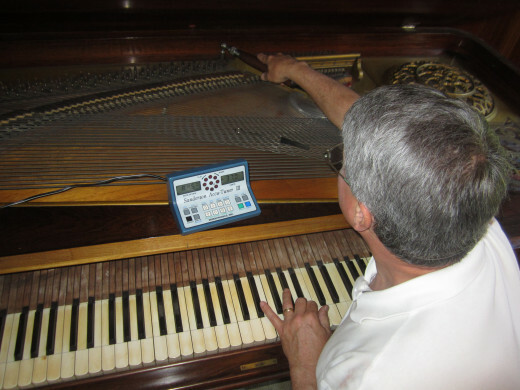 Give the Gift of a Piano Tuning! Now, I couldn't possibly stretch my imagination far enough to find something that Sir Elton might sport... I'm a tad toned down from that (I guess I lack the confidence!). But, I found a few items that I would personally consider giving a guy who plays piano. You'll notice cufflinks... I'm a bit of a cufflink nut. These are a little more subdued - but can't you see your guy playing while wearing a gorgeous, crisp shirt with these shining above the keys? Please note, however, that these are NOT silver. But, I still like them, and these would be a really thoughtful gift for a groom or best man who plays. And... a Piano Jewelry Box to keep all the trinkets! I have a piano jewelry box a bit like this -not exact, because, well... it is over 40 years old! But put it this way: I don't KEEP "stuff" from my childhood with only a couple of exceptions. My little jewelry box is one of those exceptions. :) So, I did my best to find the "ONE" I would buy someone this very day. And here it is. :) This style actually comes in a lovely walnut finish as well - but I chose to highlight THIS one because the design on the top of the piano includes a guitar - and I love my guitar as well! Yes, this is a little pricier than your ordinary jewelry box, but isn't it gorgeous!!!! Or, perhaps if your pianist is a college student... I had music posters when I was younger, and if I had a music room now, I would probably have a couple of framed items. A lot of people listen to downloaded music these days - so why not surprise someone with either a selection of downloads? Most people can listen on their phones or iPods now, and this would be an easy gift - especially if the recipient doesn't live nearby. I've seen tons of cools stuff on Amazon and Etsy. Just search "piano t-shirts," or socks, neckties, or scarves, and you will be surprised at how much you can find. The nice thing about Etsy is that you're going to get some beautiful hand-made pieces that you really just cannot find in a regular store. It's like an online craft fair. Yes, I know we live in an era of email and texting, but there is nothing like a real card! Again, you can find some gorgeous examples at Etsy. I'm not an artist, so I can't show you anything of my own. But, you'll have no trouble finding some really lovely collections. In a world not so long ago, I would never have dreamed that the words "piano," "cell," and "phone" could ever be used in the same sentence. But, there ya go... All you would really need is to find out the model of the phone your intended recipient owns, and voila! They have them on Amazon and eBay. I really enjoyed making this page, and will add to it as the muse hits! In the meantime, please let me know you were here. Love this lense because aside from my family, the piano is my life. Thank you for sharing. I got to thinking. If that antique piano you have has silver strings, it won't stay in tune. The local used bookstore has one, and they have to tune it a couple of times a week. If that is the case, best get yourself a tuning hammer and a couple of other things and learn to tune it yourself. If you write me, I'll explain how. Love the Piano Guys! Very unique! Also, I'd never seen an instrument like that little organ you played. Neat! If I were going to buy a piano for a child, I'd select the black grand piano. 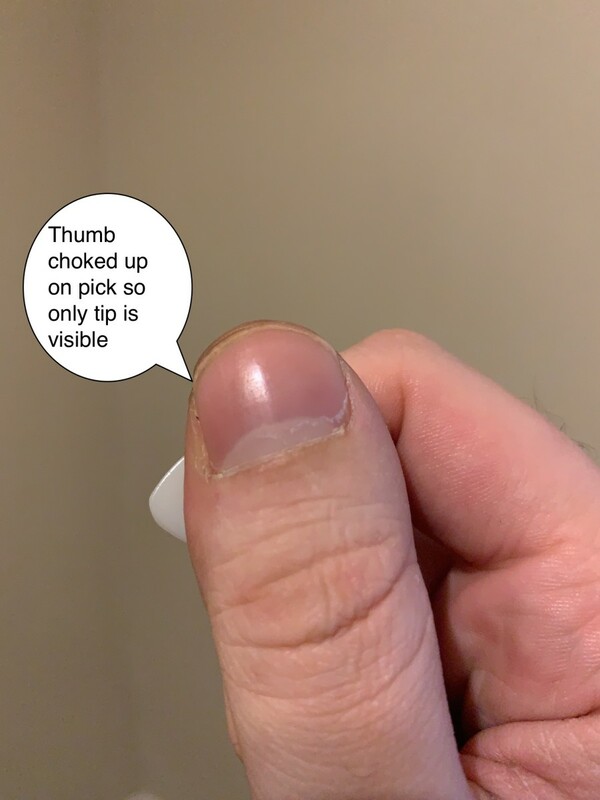 I wrote about my own piano on a Squidoo lens, so you are welcome to visit. I know a guy who makes fractal images with piano keyboards in them. Over on Renderosity. They're great! @Kellysloan: Good morning Kelly! So glad to meet another OMGer! Thank you so much for your kind comments! Well, the only backlink I've done here is to make a YouTube video. At least so far. I'm not very good at backlinking... :) Maybe your mom could make a few Squidoo pages for the Symphony *or* hint hint... YOU could make a Squidoo page for them! :) I'd love to see that! Please stay in touch! Hi Kathy I saw your lens first on OMG and knew I had to check it out for myself! Great Lens!!! I am inspired. Do you link this back to a website? I spent so many hours on the piano as a kid and now my 4 year old granddaughter loves to play and is in music lessons. Also my my Mom is the media person for our local symphony!! I can't wait to show her the site so she can share it with her other symphony board members. Great job. I like piano, but my one year of lessons occurred 24 years ago. 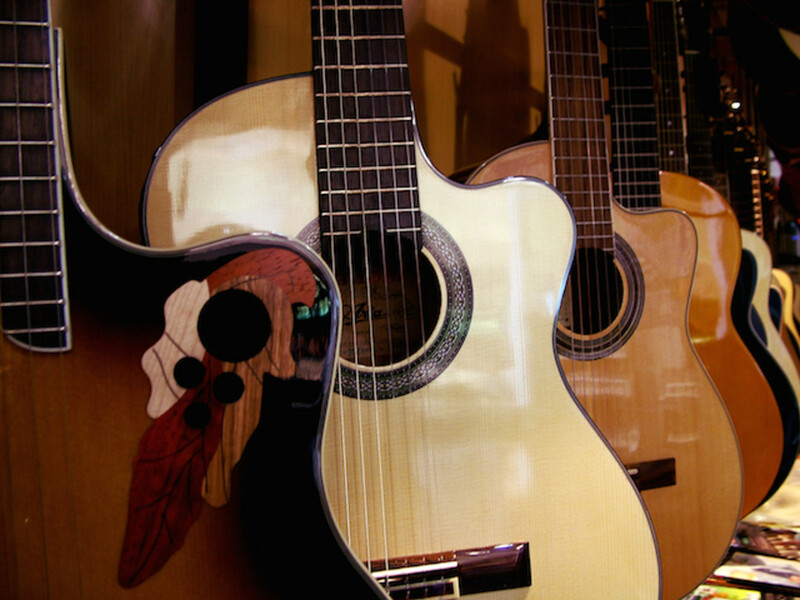 I play by ear now, but play guitar a lot more than I play piano. Congratulations on your remarkable success with this lens. Thanks for being true to your passion and for being an incredible inspiration to all of us at OMG. You have definitely set the bar high! ;) BTW, love the piano theme and the great video! Wishing you continued success. Rock on! Indeed Piano is one of the best gift for all ages. The piano guys video was awesome. Great lens. I learned a lot! This lens has been so much fun to look into!! Congrats On LOTD! Great gift ideas to take in consideration. Thanks! Hi we actually met through OMG!! Learning lots. Thanks for your help. Congrats on LOTD. This is a lovely informative lens well deserving of the award. Found your lens through you and Mike interview. Love it! You've done a fabulous job. I remember when this moment of inspiration for this lens came to you Kathy, and all the kudos are well deserved! You were filled up on blessings and I wanted to do a little more, so I FB liked this gem. Hi, I love your lens, it is an inspiration. I am a musician and what you have done here is instructive to a new Sqidoo person, and really it is a thing of beauty. Wonderful lens! My daughter would love these piano themed gifts! Vonderful vonderful lens, keep up the good work. This is a wonderful lens! I've always wanted to learn how to play the piano. It's on my bucket list. Congratulations on a well deserved LotD! I concur with your love of cufflinks! Thanks for a great lens. I just put our Beckstein piano (made in Cape Town, South Africa many years ago) back into storage, in New Zealand. It has been following my daughter around the world for about 10 years but can't seem to catch up. She seems to finallt be settling down in Australia so it won't be long when she will be teaching her daughter to play. amazingly put....the personal touch makes it special..specially "Thank you Oh! My Papa"
I will speak the truth. When I was in elementary school I wanted to learn to play the piano. I never did get very far, because the piano teacher my parents found was from Europe. She didn't think it was necessary to wear deoderant, and my nose suffered from her odor when I sat next to her. I wish I could go back and tell my parents the reason I didn't want to play! But so it goes. I ended up playing the bagpipes, and I was very happy. Great lens - I love the piano clothes. I have always been fascinated with the piano, from a young age, And i was so glad when i finally started piano lessons at 17. Unfortunately, my interest waned after a number of years as i never went past Grade2. I regret not giving piano playing a more serious attention now that i can hardly stretch my fingers as i used to. I really enjoyed reading your lens KathyT as it brought back nice memories for me. Well deserved LOTD. Congratulations. What a great lens. ai can see how you love the piano. Congratulations on LOTD. I was given an old out of tune church organ when I was about 14 and I was totally dedicated to learning it. I got very good at it. A number of years later I got a Kimball organ, but as of late it is not working. When I can move to another house I would like to get a baby grand. Oh my, I can feel the passion for music jumping out from the page. What a beautiful gift your parents gave you, and what a fabulous gift you gave us by sharing your story. Congratulations on your lens of the day! Make it a musical day! the flip flops are cute! Im impresses at all the piano related items you found! You must be a music genius to have such a deep love of piano. Thank you for publishing this remarkable lens. And congratulations on receiving the LOTD. Congrats on the LotD. I love piano music. I just find it so relaxing. Congratulations on LotD and nice story! I love the piano. The piano my family had when I was growing up looks similar to your upright Weber. My sister has it now. Congratulations on a well-deserved LOTD! Great lens and congrats on LOTD! I love listening to and playing the piano. It is so relaxing. Congratulatons on LotD. Wish we could have heard you play. Wow! What a large and fun selection of gifts. Congratulations on well-deserved LotD and the Purple star! Several of my children are pianists. Love your selection of great piano gifts! Congrats on LOTD. I used to have an organ as a child but I don't think I have ever played a piano before! Hard to believe when I think about it! Hi Kath. Congrats on LOTD. Very well written lens. I love listening to a nice melody on piano (my favorite is Love Story Soundtrack). I don't know how to play piano.. but would love to have a piano tie or iPhone cover. God Bless! Great selection of gifts. Congratulations on getting LotD! Nice lens and story! Congratulations on LotD! Very nice lens! I really enjoyed reading it. Thank you. Congrats on LOTD! Congrats on LOTD! This is a wonderful lens that I can tell you enjoyed creating. Have a wonderful day! Congratulations on LOTD! This lens definitely deserves it! Wow, Kathy... so much of your story is my story. I spent way too much time on this beautiful page, and the Piano Guys totally blew me away. Thank you so much for creating this lens! Congratulations on Lens of the Day as well as your purple star! Smiles! Congratulations on LOTD, you crafted an awesome lens. Beautiful lens!! Congrats on LOTD. This one is definitely deserving of the honor. I wish I could play the piano. Congratulations on LOTD! Beautiful lens, spiritual lens for my taste. Music is an important instrument in our lives. Thank you. Love those piano key socks!! WOW This lens is ENORMOUS i can see why you got the featured lens status because this is a quality lens! Is the picture at the very top of the older piano in the story about pa pa the original piano that was given to you? So nice that you hung onto a piece of your childhood! Don't give it up!! Lovely lens. Your passion and love for the piano shines throughout. I really enjoyed working my way down the wide range of content. Wonderful work! Very nice lens. My parents bought me my first piano when I was 8. 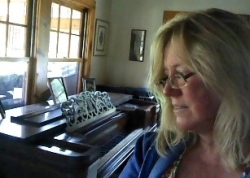 Forty years later my late husband asked me if I ever wanted a new piano. I looked at him in horror and then politely declined. I love my piano and to this day, it gets used just about every single day by me or one of my children. That is musical love. Didn't know about The Piano Guys. How extraordinary! Congrats on LOTD. I smiled from the top of the page down to the bottom. I love the featured children's pianos and the piano socks had me giggling in delight. 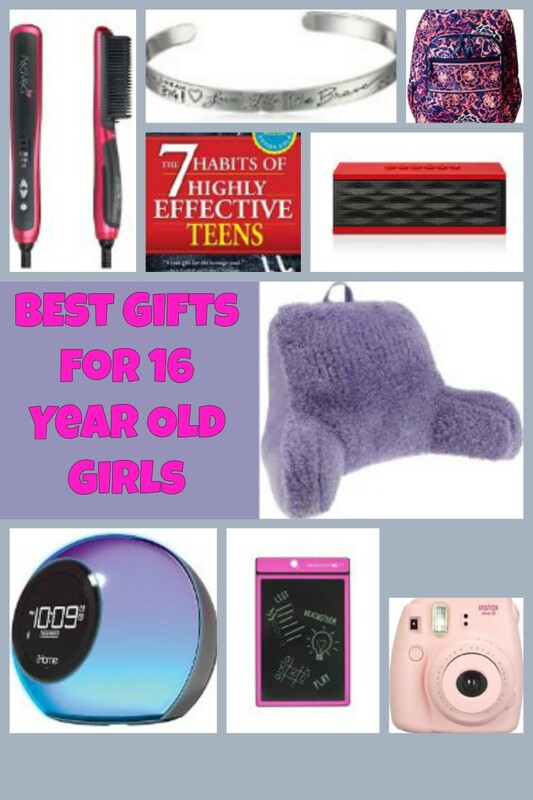 My youngest daughter plays piano and she would love these gift choices. 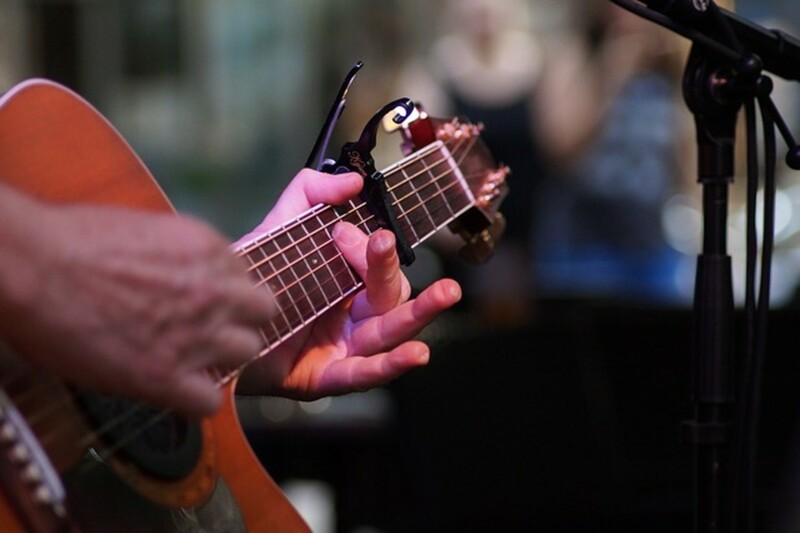 Wonderful memories and wonderful gift choices for those who love music. Congratulations on being LOTD. I canât play piano, but surely love listening to it. I love all the gift ideas for piano players. Great items on your lense! Your enthusiasm and love of the piano and music really shows. Congratulations on your LOTD and purple star. Blessed! What a refreshing way for me to start my day! I really enjoying your personal recommendations, it made me consider getting a piano - or at least an emcee organ. Congrats on LOTD. Congratulations on LOTD! I love the personal story and your love for playing the piano, your personality comes through for this love. I also like the items you chose for purchase, especially the charms. Lovely lens! Great lens, I like it! Piano is my preferred instruments, I am not able to play it, but I love its sound. Congratulation for your lens. Angel Blessed! I learned electric organ when I was young; I love piano too and wish to learn piano in near future. I love the piano and my partner plays it beautifully. There are some inspiring gift ideas here. I love your personal story and the great piano gift suggestions. I remember having a piano on a charm bracelet when I was young and taking lessons. (Wonder what ever happened to that?) Congratulations on your well-deserved Lens of the Day! Loved this tribute to the gift of music. I am just now returning to the piano after years away from it (due to having to leave my piano behind when moving to the South). This lens brought back lots of memories of my cousin and I playing chopsticks on their old upright piano. It was a big deal when our family got a new piano. All these years later, my mom still has it and plays it daily. You can't go wrong with a gift of music (especially a piano). It's a legacy gift. I love to buy piano music online with instant digital downloads. One of my favorite haunts is the MusicNotes site. Gift cards to those types of websites would make the perfect gift for any budding, or rebudding, musician. Congrats on LotD! What a gorgeous piano you have! Thanks for including the Piano Guys video. Super fun to watch. A nice addition to your page. Quite a wonderful lens - thanks for sharing! Congrats on LotD and here are some Angel Blessings for you! Lots of really cool piano gift ideas! Congrats on LotD! Lovely Lens. Will be directing my passionate piano playing son to it! Congrats on LOTD! This is such a nice lens with great gift ideas! I've heard the Piano Boys before, and they're awesome. 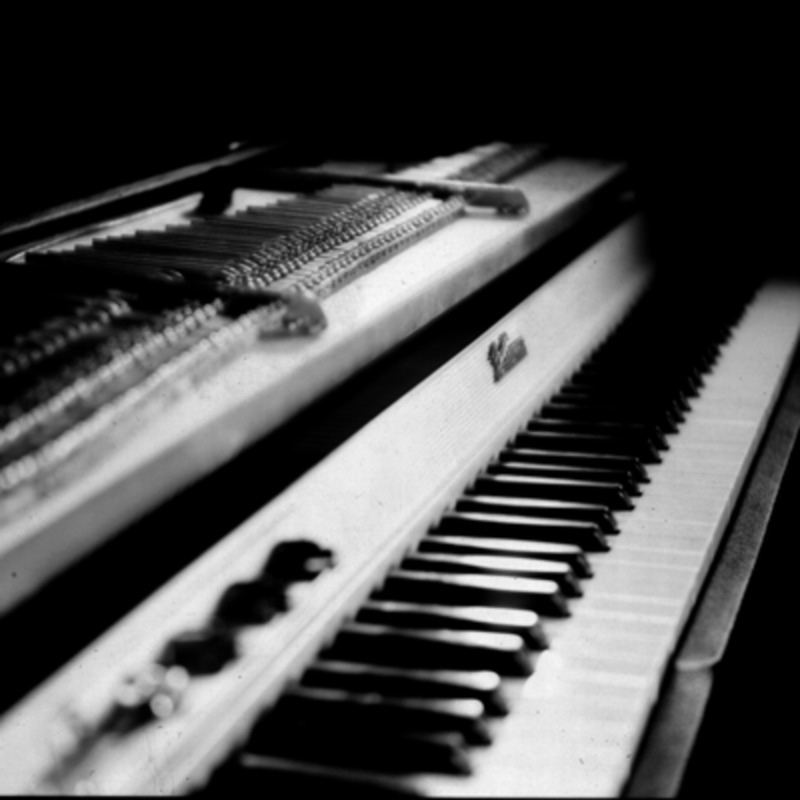 Great piano lens. I always wanted to learn piano, this lens touched my heart.